Seriously, how nice is it to rediscover an old gem? 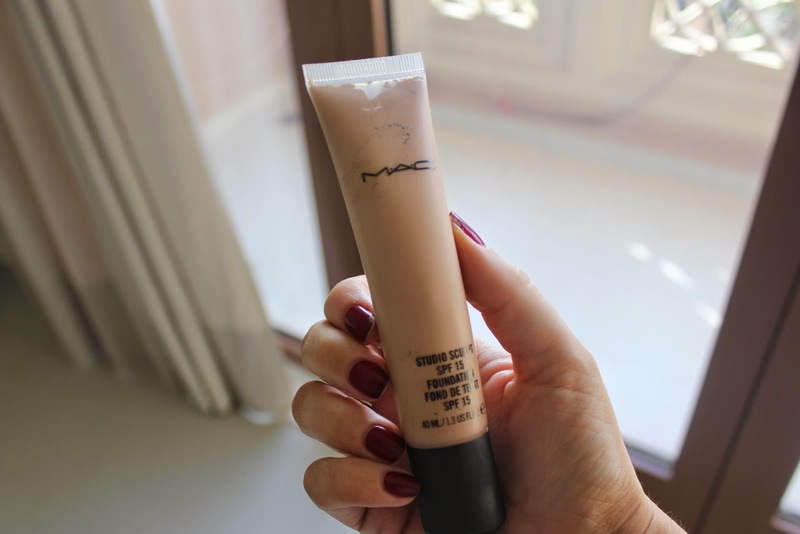 My latest love affair is MAC Studio Sculpt foundation. Very much an oldie but an absolute goodie. I remember hot-footing it to MAC in Westfield/Shepherds Bush when this first came out. The shop was a total clusterflip of people, as usual, so I barked my usual shade at the Sales Assistant and then ran out in relief. It wasn’t until I got home that I realised the Studio Sculpt’s colour range isn’t entirely consistent with the rest of the line – I had managed to purchase NC Ooompa Loompa. So I never “got” it and never bothered to repurchase. It wasn’t until about 6 months ago that I decided to try it again. I was rummaging through my mum’s makeup when home in the UK and she had NW25. NW always comes out far too pink-toned on me but I tried it anyway and bingo – perfect match. I bought my own tube but was too busy trying other things to realise just how amazing this foundation is. The penny has only just dropped and for the last few weeks this is all I have been wearing. The finish – it’s radiant. And when I say radiant it will make your skin look plastic-perfect. Like a Barbie. Skin looks hydrated, nourished and youthful. The coverage – it’s a medium coverage foundation but if you want to pile it on with a trowel, by all means, go ahead. This is buildable. And achieving a medium/full coverage is easily done with a pea-sized amount. Stippled that in (a flat topped brush is key) and see how you feel before adding any more. The soft focus – I don’t find that this gel formula settles into pores or fine lines as the day goes on. I even apply it under my eyes and avoid this issue. The waiting game – this isn’t one of those super-fast drying foundations. 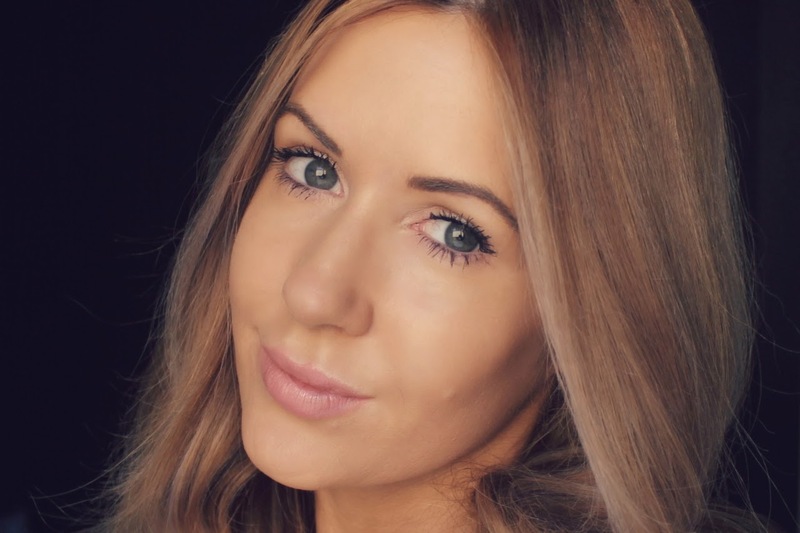 You need to apply it and wait before you can move on to any other face makeup step. I typically leave it a couple of minutes, spending the time doing my eyebrows and drinking coffee. Set it, set it good – if you want your make up to last all day you need a good setting powder. If you want to see your makeup disappear from your face then feel free to skip this step. You have been warned! “Orange” you glad to see me? – this sets a little darker/warmer than anticipated. I did some MUA research and I am not the only person who has noticed this so when buying Studio Sculpt get them to apply it on you and then wait to see what colour it sets to. Spots not welcome – many reviewers complain that this breaks them out. Sometimes it happens immediately and then other times after a week or two of use. It’s something to be aware of. Now if you like the concept of the finish/gel consistency then don’t worry, there are alternatives and the closest is Laura Mercier’s “Silk Crème”. Worth a shot. Studio Sculpt is £25 a tube – a price that I think is well justified. The fact that you need such little product means that it will really last for a long time. I am half expecting MAC to discontinue this now that I have finally found a love for it but until that day comes I will be stippling this stuff on every morning. How did you get on with Studio Sculpt? Ah so you shopped your stash? Love it when that happens! Thanks for reading Jennifer! Absolutely love the coverage from this foundation! It's so tricky isn't it? It was purely luck that I found that NW25 was a decent match. That whole trying darker than you want thing is so much hassle, right? I have bought this a few months ago but I didn't like it because of its poor lasting power. Now that I've read this I want to try it again and will use a good amount of powder on top! I did love the radiant finish, it's super glowy indeed! I need to revisit that foundation - I remember trying it years ago and liking it. Might have to pick it up at duty free because soft and dewy sounds perfect :) Thanks Kirsty! I will do a post about it tomorrow but I think this is so you. The only thing I am a bit iffy about is the texture....not sure I love it! I know what you mean - its a bit scary that so many people DONT get on with it. If you like your Silk Creme then stick with that because this is v. similar. I never believed that a foundation could actually "break you out" but this one did for me, in a big way. Never again! It's always amazing when you rediscover an old product and a new-found love for it. Unfortunately Studio Sculpt is not for me (I've got oily/combination skin) but it looks fab on you! I've always been a Studio Fix Fluid kind of girl but I've been tempted by the Studio Sculpt foundation for a while. The only thing that's stopping me from trying it is the shades available don't even come close to my paler than pale skintone. The coverage looks great on you Laura! Ooh I was totally sold on this until I read that it breaks a lot if people out. I've been really spot prone recently for the first time in my life (I'm 23) so I don't want to risk anything messing up my skin! But maybe I should try the Laura Mercier alternative! Thanks for sharing! Hi Laura, thanks for this blog post. What setting powder would you recommend? I've never used one before and didn't realise it could help my make-up last! love this stuff! been using it for the last 3 years probably, and it covers well and doesnt break me out. I personally dont need to set it with powder, and I find it lasts well throughout the day. Really a great products, I mix NC25 and NC30 to get the perfect color :) this paired with the sudio fix concealer gives great coverage. Glad youre enjoying it! PS: try applying it with your fingers, i find it works best that way. I love this but I've neglected it for so long, it's been sat in my stash and it's one I tend to wear on evenings/nights out etc but day to day I find it too heavy. I do agree that it dries a bit darker so this is one I can also use with my false tan. The base looks flawless on you Laura. I'm excited to try this now! I've been looking for new foundations (I'm finally taking the plunge into the high end foundation world) and starting with MAC or Laura Mercier sounds like a good idea to me. Do you have any suggestions for a first time high end user? also downloading and install VOOT app on PC. ivootapp Open Bluestacks as well as search for Voot. The applications as well as games in the vshare app are Adaway APK Download On an Android tool, there are alot of applications.